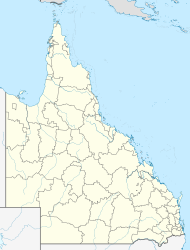 Witta is a town and locality in the Sunshine Coast Region, Queensland, Australia. In the 2011 census, Witta had a population of 1,230 people. Witta was first settled around 1887 by German immigrant families. They called it Teutoberg (also spelled Teutoburg), possibly referring to the Teutoburg Forest area in Germany. The town was renamed in 1916 during World War 1 due to anti-German sentiment. The name Witta is a corruption of the word ''wetya'' meaning dingo in the Kabi language. Maleny Provisional School opened on 1 October 1892 with the first enrolments on 3 October 1892. It was renamed Teutoberg Provisional School in 1893. It became Teutoberg State School in 1909. It became Witta State School in 1926. The school closed on 23 August 1974. A reserve for a School of Arts was gazetted in 1907. The School of Arts was opened on 7 October 1908 by Harry Frederick Walker, Member of the Queensland Legislative Assembly for Wide Bay. Witta is located within the Blackall Ranges. The lower land is mostly cleared for residential and farming purposes. The higher land is largely undeveloped natural bushland. There is a small cemetery on Witta Road (26°42′22″S 152°49′36″E﻿ / ﻿26.7062°S 152.8268°E﻿ / -26.7062; 152.8268﻿ (Witta Cemetery)). ^ a b Australian Bureau of Statistics (31 October 2012). "Witta". 2011 Census QuickStats. Retrieved 10 August 2015. ^ a b "Witta (entry 37782)". Queensland Place Names. Queensland Government. Retrieved 10 August 2015. ^ a b "Witta (entry 48935)". Queensland Place Names. Queensland Government. Retrieved 10 August 2015. ^ "Witta". Queensland Places. Centre for the Government of Queensland, University of Queensland. Retrieved 10 August 2015. ^ "TOWN OF TEUTOBERG". The Telegraph (SECOND EDITION ed.). Brisbane. 18 May 1916. p. 2. Retrieved 10 August 2015 – via National Library of Australia. ^ "Opening and closing dates of Queensland Schools". Queensland Government. Retrieved 21 April 2019. ^ "Agency ID6545, Witta State School". Queensland State Archives. Retrieved 10 August 2015. ^ "RURAL INTERESTS". The Brisbane Courier. 1 March 1907. p. 7. Retrieved 10 August 2015 – via National Library of Australia. ^ "Maleny". Chronicle and North Coast Advertiser. Qld. 17 October 1908. p. 3. Retrieved 10 August 2015 – via National Library of Australia. ^ a b "Queensland Globe". State of Queensland. Retrieved 10 August 2015. This page was last edited on 18 March 2019, at 05:10 (UTC).